Get a Guaranteed Offer on Your Home! Interested in selling your home quickly, and without the hassle of multiple showings and multiple open houses? Our Guaranteed Offer Program allows you to close when it is convenient for you, and to know that you have an offer that you can rely upon. We work hard to eliminate both the stress and uncertainty of the home selling process. Learn More. The mission of Shannon Rollings Real Estate is to help you with one of life's most important decisions: to buy or sell a home. We not only want to help you make a good financial decision, but we also work to make the process easy and stress-free. If you are selling your home, we have a proven marketing plan in place. Our plan includes internet marketing, print media and in-home marketing. We have professional Graphic Designers take photos of your home and prepare all of the marketing material for your home. Rest assured your home will compare favorably to the competition. Once we receive offers on your home, Shannon personally helps you through the negotiating process. From contract to close, our Closing Broker will help you through the inspection and, if necessary, the repair process. Our Closing Team is dedicated to helping you through the process and keeping you informed. Shannon is the top selling agent in CSRA (and one of the top in the nation) because our systems and marketing plan work! If you are buying a home, we work hard to help you find the perfect home! We perform daily searches based on your criteria. When you are ready to look at homes, our goal is to always be available! We have a Team of dedicated Buyer's Agents to accomodate your schedule. We want to wait on you; you should never have to wait on us. Once you find the perfect home, we help you through the process. From getting qualified for a loan, to completing the home inspection, to negotiating repairs, to planning and coordinating your move (We even offer a complimentary moving truck for our Buyers), to the final walk thru, we will help you along the way. As closing time approaches, our Closing Broker will review your closing statement with you in detail. Our goal is always a stress free, no surprises Closing. When you are ready to think about a move, we would love to help you! 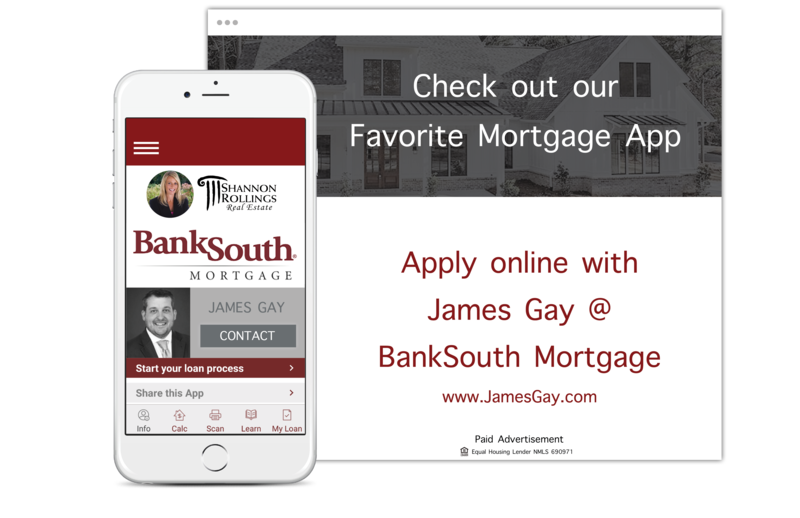 IDX information © 2019 Greater Augusta Association of Realtors. IDX information is provided exclusively for consumers' personal, non-commercial use and may not be used for any purpose other than to identify prospective properties consumers may be interested in purchasing. Information is believed to be accurate but not guaranteed by the MLS or Shannon Rollings Real Estate. Data last updated 2019-04-24T21:55:41.457. © 2019 Aiken Multiple Listing Service. All rights reserved. IDX information is provided exclusively for consumers' personal, non-commercial use and may not be used for any purpose other than to identify prospective properties consumers may be interested in purchasing. Information is deemed reliable but is not guaranteed accurate by the MLS or Shannon Rollings Real Estate. Data last updated: 2019-04-24T21:48:30.9.